Can you see how this thought is only true if you believe it? Meaning, we create “our truth” or “our reality” every day by what we choose to believe. If we believe there is no gain without pain, then life we always be painful and when we acquire or achieve something that wasn’t painful, we often are unable to hold on it because of our prevailing belief. Are you ready to let go of certain beliefs that hold you back or create challenge and difficulty? Are you ready to believe that our minds are that powerful and we have the ability to choose which thoughts to focus on? 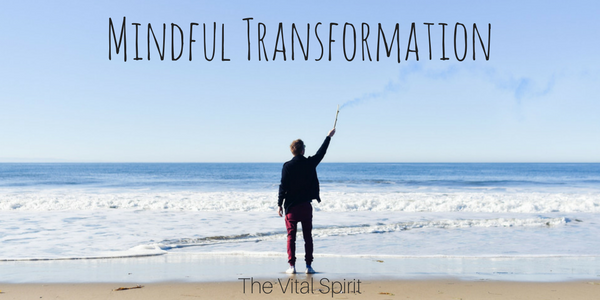 Choosing our thoughts, and releasing our attachment to beliefs that do not serve us, is mindful transformation.